If you are looking for some special and different 'Spain Guided Tours', you may want to get in touch with one of the following insiders. They are real passionate people, who have been offering the most unique tours throughout the province of Almeria, Granada, Alpujarras and Sierra Nevada. 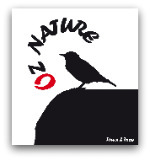 I suggest you to contact them by email, so together you may tailor your very special holidays in Southern Spain. 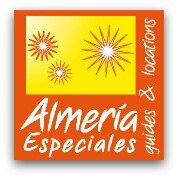 Professionally Guided Tours throughout the Province of Almeria and Andalusia Day Trips. 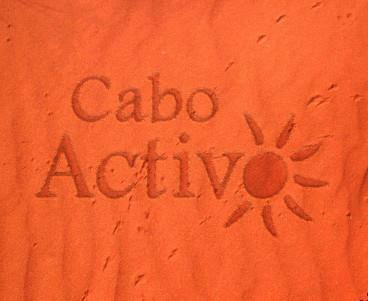 Guided filming location tours and Desert Trekking. Martin, the founder of Cabo Activo offers cycling tours through Cabo de Gata Natural Park as well as Paragliding Flights that will take your breath away! If you are a Geologist Geek, you will enjoy joining David Monge on one of his Geology trips through the Natural Park of Cabo de Gata Nijar. Discover old Gold mines, cherry-red almandine garnets, ancient volcanoes and much more, by the hand of an Expert Geologist! 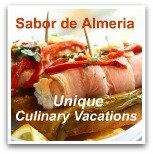 SABOR DE ALMERIA offers the ultimate in gourmet holidays , one of the best Spain Guided Tours, designed for people who love and appreciate food and wine. Whether half a day, a weekend or a week, they provide culinary and wine-appreciation adventures across Almeria Province. They offer a diverse selection of venues deep in the countryside or in the thick of the city, with accommodation ranging from cozy farm houses or urban designer hotels. The Spanish Thyme Traveller offers unique cultural and gastronomy tours in Spain (south east) for small groups (the interior of Valencia and Teruel). They specialise in organising short trips that combine cultural experiences, some walking tours and excellent authentic food and wine tours in Spain.